User based authentication for your coworkers/guests for first time to give them a seamless WiFi experience every time they come to the spaces. Owners can track who all are accessing their internet and can stop/block specific users triggering malicious activities. We write automation scripts to manage multiple WAN (internet) connections to ensure 100% network uptime, and provision multiple VLANs to provide secured dedicated IP networks for different coworking groups. We ensure your internet network never goes down with our WiFi software. 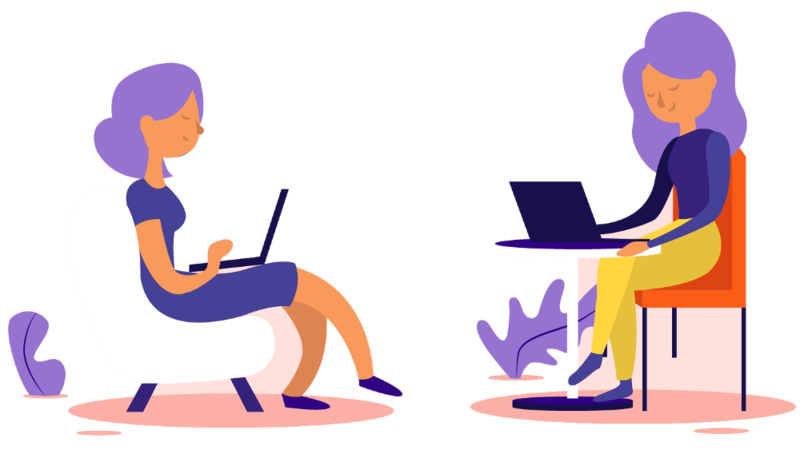 Coworking offices have varied profiles including freelancers, open desks, and dedicated cabins - space owners can allocate different kinds of WiFi plans for each segments and control their access. We also provision for integration with multiple accounting and coworking space mamangement softwares. Internet is the key offering for coworking spaces and we ensure it is reliable. Block unwanted websites (pornographic, illegal ecommerce portals, LAN gaming websites) to ensure working environment. Moreover, block malicious users, trying to download excessive contents during peak hours, to avoid any data abuse. Our network not just manages WiFi but also allows you to integrate CCTV, printer, tablets, and other smart internet-enabled devices to provide un-interuppted internet access to such devices. Specific ports can be blocked/forwarded to specific domain IPs to host local servers, websites, and contents. Provision Guest WiFi networks with social logins for specific events, conferences, or outside guests visiting your coworkers. The data collected about such users helps in building list of potential future coworkers for your spaces. This is what our clients have to say about WiFi management. FreeG setup is very useful in controlling bandwidth for individual devices and blocking unwanted websites such as torrents at our space. Initially we had multiple internet lines (5-6) but with FreeG WiFi's automated failover feature and load-balancing features, we are able to manage our space with just one main and one backup line.